We use the Citadel line of paints here at Swords and Space. 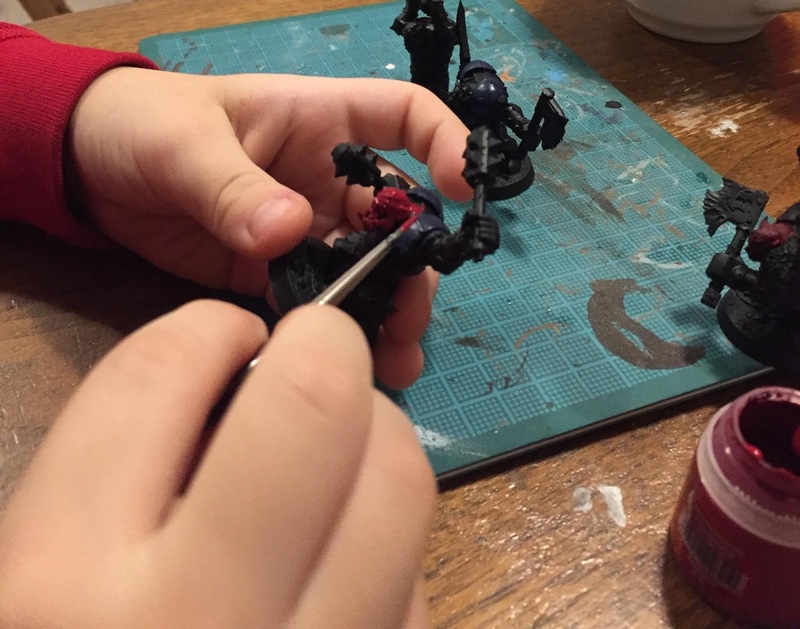 There are many other fine lines of paints, but we really like how easy Citadel paints are to wash off the brush, and the very wide variety of shades and colours. Also, the Citadel shades are just fantastic. 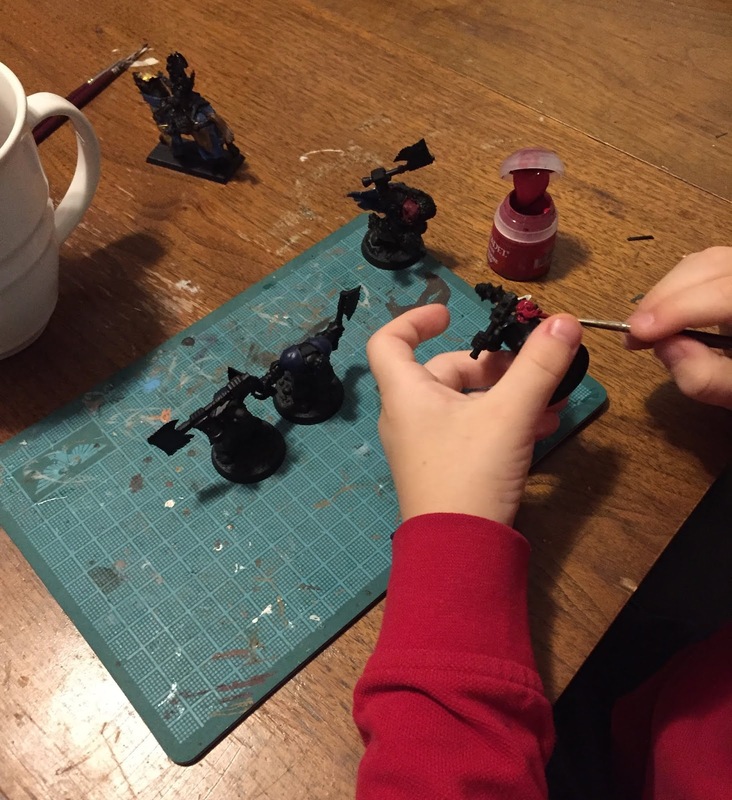 Here we have Lewis painting some of his Orks (I think Games Workshop now calls them "Orruks" or somesuch to protect their jealously guarded IP). 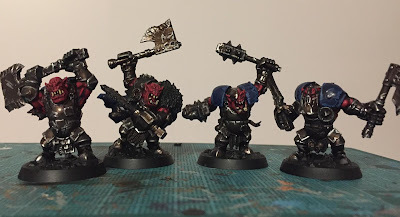 James wanted to paint them to look more like Uruk-Hai so he chose a red skin tone. Then a wash of "Carrobourg Crimson" ... you can see how the wash instantly gives the models depth and makes them look great. And then another wash, this time of "Nuln Oil" over all the metal bits. We could stop here if we wanted, but since he has a father who loves tabletop wargames and who likes to see models be the best they can be, James enlists Dad to do a final highlight of "Wazdakka Red" on the skin for a bit more depth, and "Runefang Steel" on the raised bits of the armour to give the look of the rust being rubbed off on those parts through use. Then we've got models that look fantastic and were about 85% painted by a seven year old! what great work....whatever the age...put amazing for one so young!